Sacrificed to the Spring, cast off at the end. 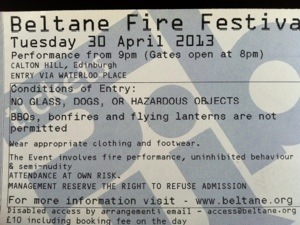 This entry was posted in new activities, poetry, travel and tagged Beltaine Fire Festival, Edinburgh by WendyA. Bookmark the permalink.